Learn the details in Chat or order a call right now. To access advanced settings, contact Chat or order a callback right now. If you have any questions, please contact Chat on this page right now. After connecting to Chcgreen net service, an owner of an interactive club gets much more opportunities for arranging an effective club activity based on the Champion platform. In particular, the number of system settings for each client increases in accordance with the individual wishes of the chief officer. safe mode of the workflow (it can work without a hard disk). With the help of chcgreen, money transactions are carried out in a club that operates on the Champion platform only. This interactive system is characterized by good graphic / sound design and monthly updates, which ensures a steady flow of customers and their deep involvement in the gaming process. What kind of payment service is this? Chcgreen.net is required for organizing the financial activities of a private interactive club. After connecting the Champion platform, it is recommended to install the Champion Club Chcgreen payment service. This special domain has a simple and convenient menu. When using the payment system, the owner can significantly increase the profitability of his own club. Hurry up with taking advantage of a unique and profitable offer to connect the service from our company – send an application right now and get bonus units. Chcgreen.net.pay service allows regular customers to easily deposit / withdraw their own funds without any difficulties. To become a full-fledged Champion member, you need to register with chcgreen.net. 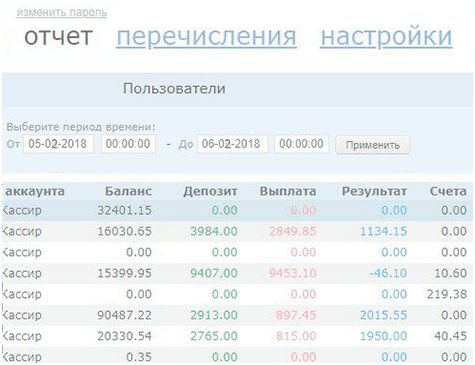 Management of savings is carried out on the user's page. As a result, after the end of the tournament, the client does not have to withdraw unused money. The remaining balance can be used during the next visit to the club. This is very convenient in terms of saving time on replenishing your personal account. Thus, the participant of the chcgreen system does not have to deposit money every time to the account – it is enough to deposit a considerable amount once. In this case, the client can withdraw unused funds over the counter at any time, with the assistance of the club attendant. Why should you install our payment service? Flexible settings for chcgreen.net provide all the conditions for performing financial transactions inside the Champion system. The client can manage the funds at his discretion, which inspires him / her for new competitions and wins. as soon as the terminal is installed, units are granted more quickly, which positively affects the profitability of the club. To make a deposit, customers can use bank cards and electronic systems including Webmoney, EasyPay, Okpay, Visa QIWI Wallet, etc. Transactions are possible with rubles, euros, and dollars. It is worth starting cooperation with us, as we guarantee the successful operation of your interactive club today. If there are no positive shifts in the club's work or the owner does not like the Chcgreen product, we will, at the first request, return all the funds spent on connection. In addition, we provide round-the-clock technical support, so you can contact us at any time. The consultant promptly answers all questions regarding the service. Chcgreen and Vltaccess software becomes available for use after agreeing all the details of cooperation with the regional manager and making payment for services.